Damien was previously a Research Officer at the Grantham Research Institute on Climate Change and the Environment from October 2015 until September 2017. 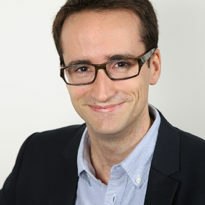 Damien completed his PhD at MINES ParisTech, PSL Research University, CERNA – Center of Industrial Economics (Paris – France). His PhD thesis is entitled ”The effects of environmental regulations on waste trade, clean innovation, and competitiveness in a globalized world”. Previously, Damien graduated as an Environmental Science Engineer from AgroParisTech and has a master’s degree in Environmental and Energy Economics obtained at AgroParisTech (Paris – France).